How did you transition your toddler to drinking from a cup? 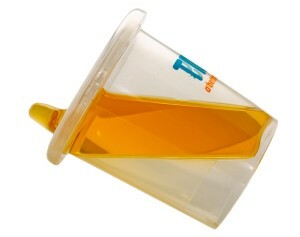 Our Mommy MD Guide’s reply: When my older son was ready to drink from a sippy cup, I bought one. Then I bought another. And another. And another, until I finally found one that my son liked. It turns out, my son preferred the sippy cups with soft spouts, like Nuby and Munchkin. They worked out very well until my son discovered that he could bite the tops off. That’s a choking danger, so I quickly switched my son to the hard-spouted Nuby sippy cups. Our Mommy MD Guide’s reply: I had a lot of difficulty transitioning my daughters to a cup because they were both born prematurely. They had a lot of trouble sucking. My best advice is don’t go out and buy six of one type of sippy cup and hope for the best! I had to try a bunch of different styles until finally I found one my daughters could use. My daughters did better with cups that didn’t have valves. You can take the valve out of most cups, but then they make a mess. I found the best type was the Take & Toss cups because they don’t have valves but the holes are so small they don’t make a mess either. Once you find a cup your toddler likes, don’t be sure your other kids will like it too. My girls both preferred different types of cups!